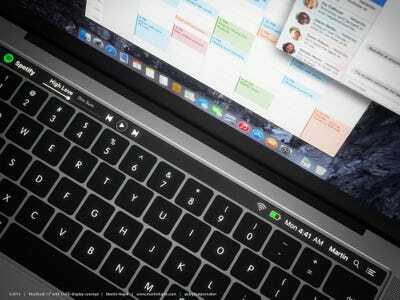 Based on parts that leaked and credible reports, the MacBook Pro expected to launch later this year is shaping up to be very cool. 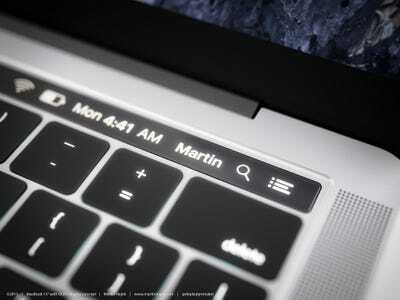 Now 3D-render master Martin Hajek has produced detailed pictures of what the new MacBook could look like, and they’re incredibly exciting for anyone who might be considering buying a MacBook Pro later this year. 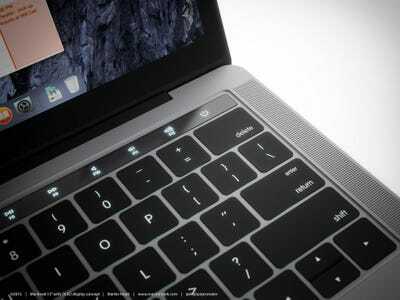 The biggest rumoured new feature on the MacBook Pro is a touchscreen display integrated into the keyboard, located where the function keys would normally go. The idea is that programs — like Photoshop, or Siri — could use the touchpad to display custom shortcuts depending on what the user is doing at the moment. Hajek provides a beautiful example in his renders using Spotify, which could use the screen to display the current track along with touchscreen play, pause, and next track buttons. 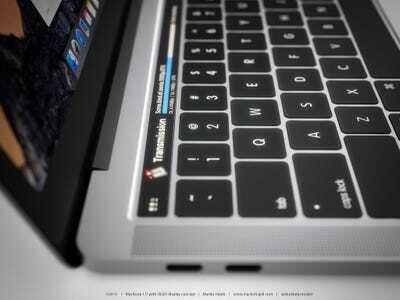 Still, it’s fun to imagine what the next MacBook Pro could look like. 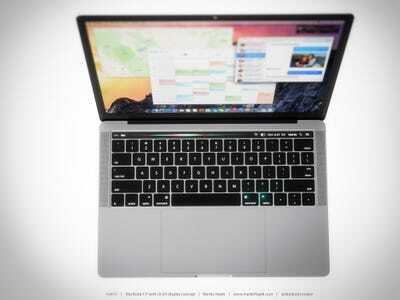 You can see all of the MacBook Pro renders below, reproduced with permission. Check out Hajek’s website for more device renders, or follow him on Twitter @deplaatjesmaker for the latest. A case leak cutout showed that the function keys were likely to be replaced by a touchscreen. 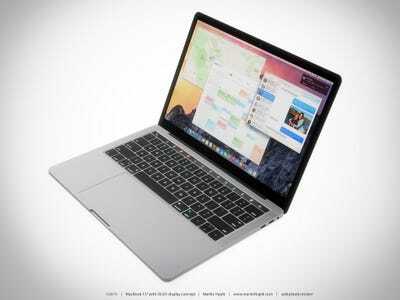 However, there's rumours that the MacBook Pro will have a TouchID fingerprint sensor as well, and that's not depicted in these renders. 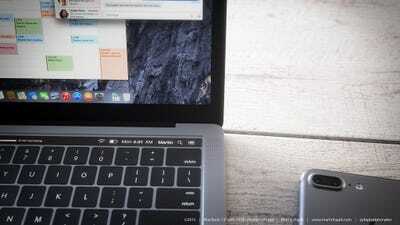 The touchscreen bar could be a great place for the traditional Mac menu bar. It could certainly free up valuable screen real estate. 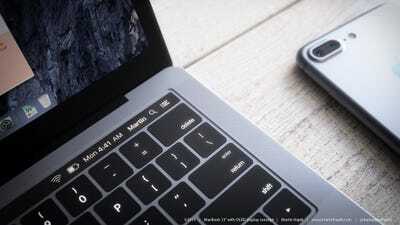 The next MacBook Pro is expected to sport four USB-C ports. 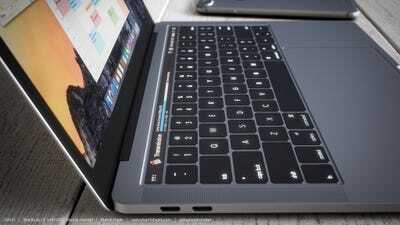 The touchpad would be great for monitoring downloads. One concern, at least for me, is that I have muscle memory for pausing, muting, and going to the next track using the function keys. Will the touchpad be as easy to use with your eyes closed? 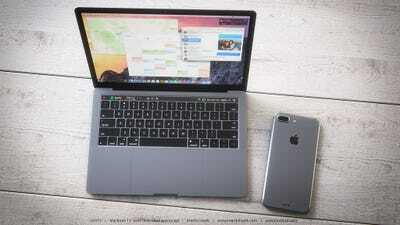 Rumours also point to the trackpad being significantly larger than last year's model. One issue is that the power key might not be a physical button anymore. Here's a render of what's expected to be the iPhone 7 Plus. 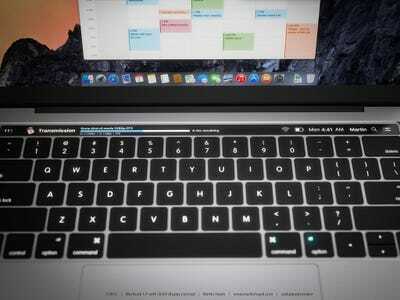 The next MacBook Pro will probably come in 13-inch and 15-inch sizes. 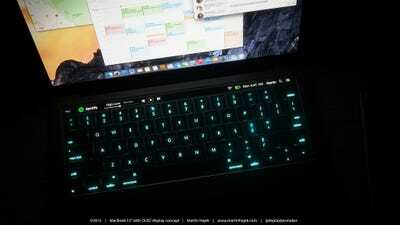 Like the 12-inch MacBook, we expect the new MacBook Pro to have backlit keys. 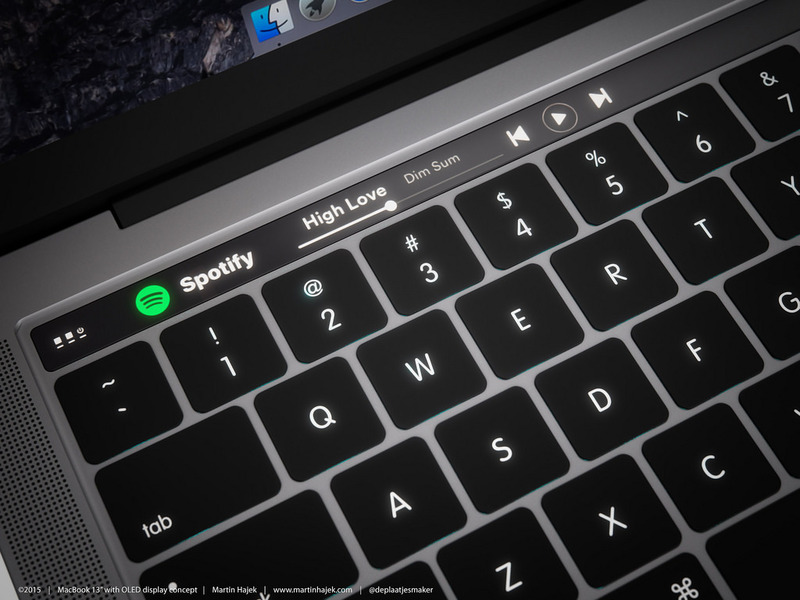 Currently, the expected launch date is sometime in the fourth quarter, but there's a slim chance that Apple reveals the new MacBook Pro models at its developer's conference later this month.